With the holiday season past us, now it’s time to settle into winter and get cozy! 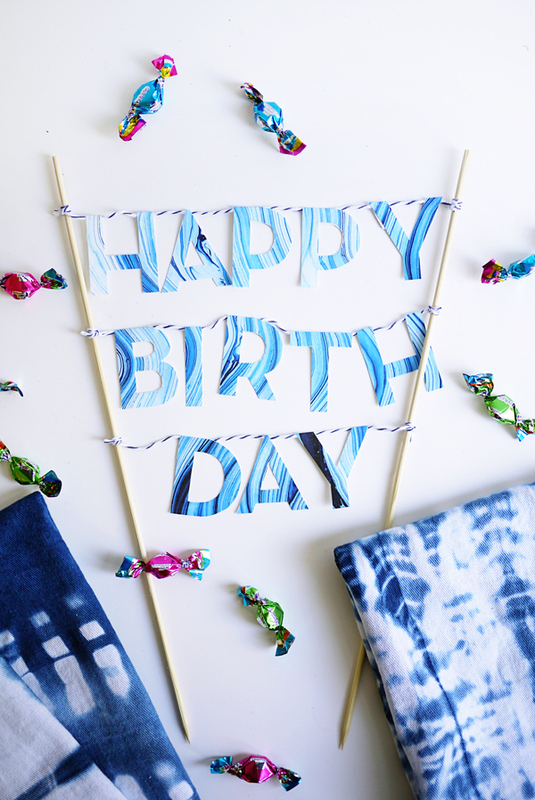 This marbled cake topper is the perfect decoration for anyone who is celebrating a birthday in the winter months! 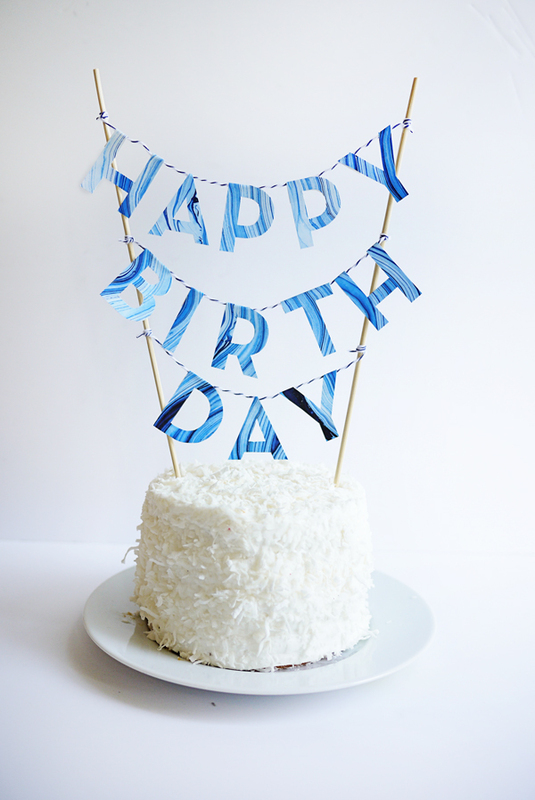 Materials: Printable Marbled Cake Topper, 8.5 x 11 white card stock, scissors, glue (not pictured), hole punch, bone folder, straight edge, string, tape, skewers. 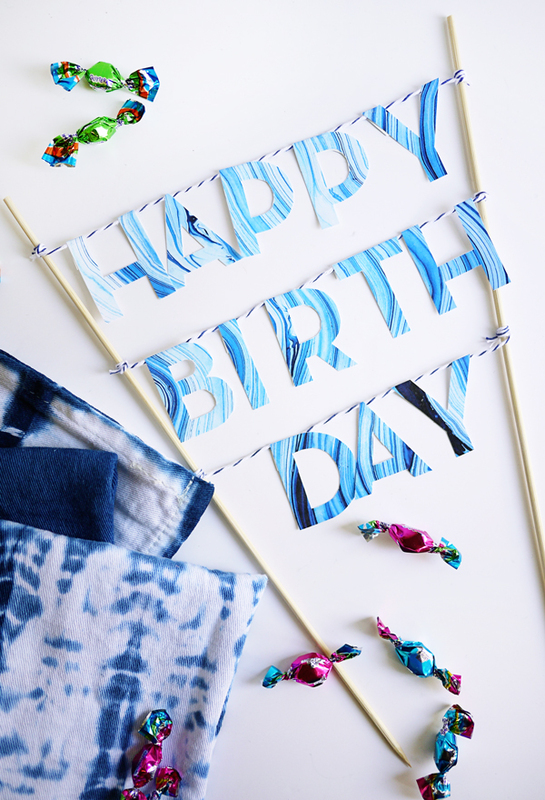 Step 1: Print out the Printable Marbled Cake Topper on a 8.5 x 11 white card stock. Step 2: With a straight edge and bone folder, score the top edge of each letter where the white area meets the marbled letter. Step 3: Cut out each letter. For the letters with openings (like D & A) use the hole punch to make a hole in the center of the white area and then cut in with scissors (I used a smaller pair). Step 4: Cut three lengths of string and line up all of the letters below the string, centered. Tape down one end of the string. 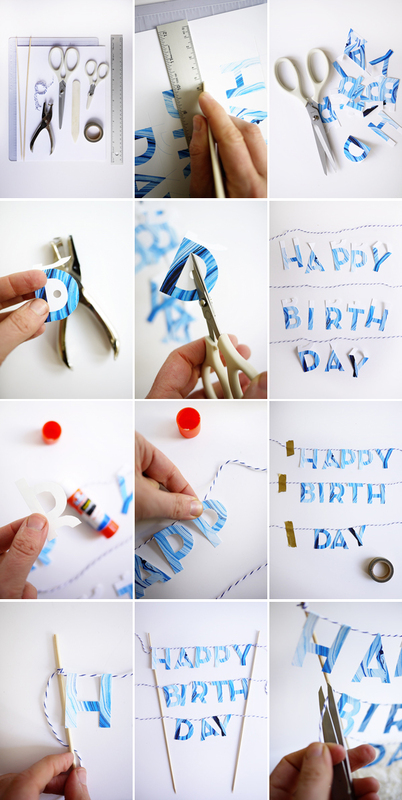 Step 5: Apply glue to the back of the white tabs on each letter and fold over the string. Step 6: When all of the letters have been glued over the string, let dry and then tie to a skewer. 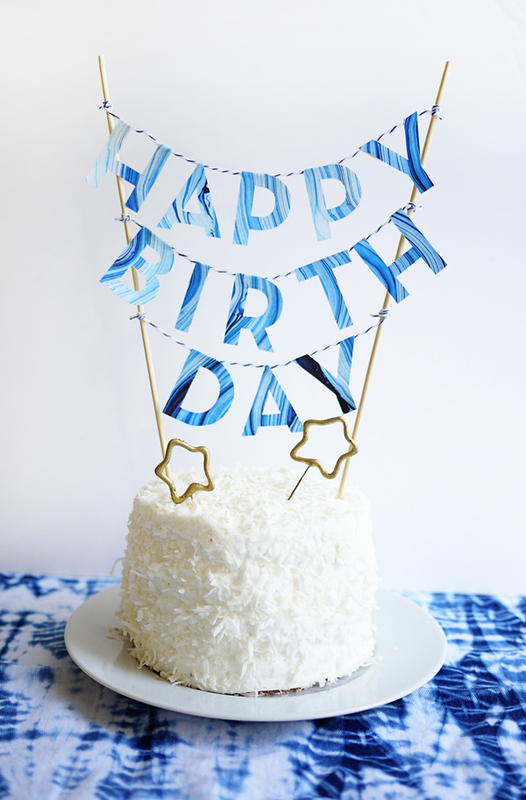 Step 7: When all lines are tied, put the topper in a cake and then trim the ends of the string. Such a cool idea, I really like that marbled pattern! 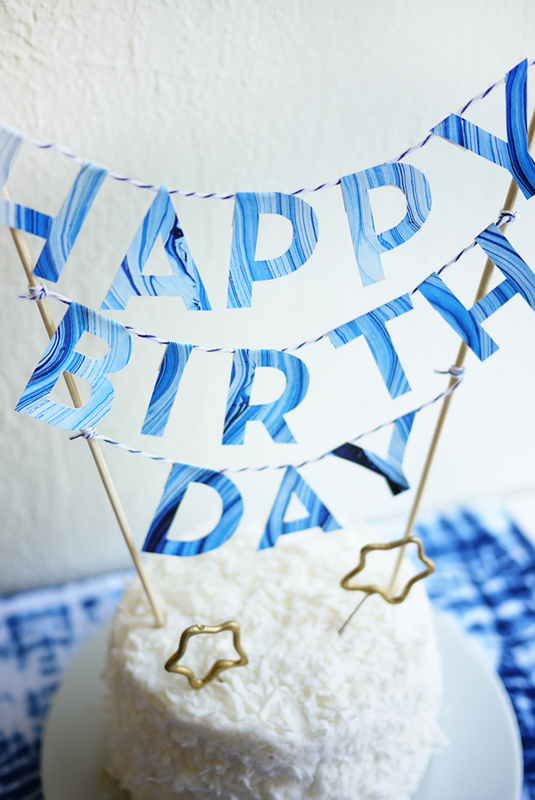 This cake topper is so pretty! I’m obsessed! I love it ! simple but beautiful.